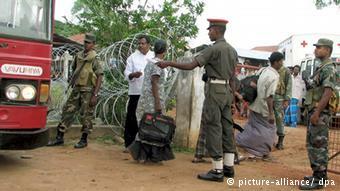 In a DW interview, Rajiva Wijesinha, a member of the Sri Lankan parliament for the ruling coalition, says the government is not paying enough attention to the needs of people in the former war zones and welcomes advice from countries “which have not been unfairly critical” of the Sri Lankan government’s reconciliation approach. 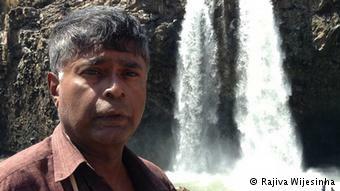 DW: How do you assess the reconciliation process between the majority Sinhala community and the Tamil minority in Sri Lanka? Rajiva Wijesinha: It is not going well at all, largely because the government isn’t focused on reconciliation. In the Draft National Reconciliation Policy prepared in my office in 2012, we noted the need for establishing a multi-stakeholder institutional mechanism charged with promoting and monitoring the reconciliation process. A Parliamentary Select Committee should review the work of this mechanism which should cease to exist at the end of three years unless parliament decides otherwise. After five years, the situation has become much worse. Polarization has increased in the absence of clearly focused efforts at peace-building, while the negotiations between the government and the main Tamil political party broke down. The government thought that reconciliation would come automatically through development, and focused on infrastructural development. This approach is astonishing, however, as the president understands one cannot rely on a “trickle-down effect” to promote national prosperity through pure capitalism. His general approach is in line with modern Liberal philosophy as expressed through the Maxi-Min principle of John Rawls who stressed the need for state intervention to maximize benefits to the worst off. While working on rural development, the president does not apply similar practices to the areas or people decimated by the war. He has failed to pay special attention to the worst off and to promote job opportunities. For instance, the government could have recruited more people for the public sector based on a quota system. This would have introduced a sense of involvement. Colombo has engaged in much development work in the predominantly Tamil-populated north by building roads, schools, hospitals and by providing electricity, all of which the government believes should promote reconciliation. 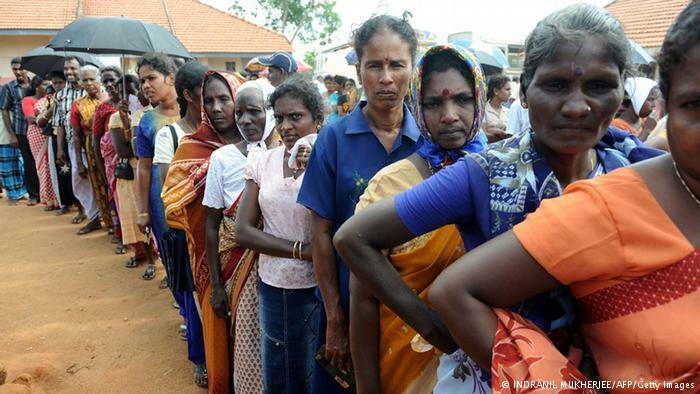 However, Colombo has failed to engage in consultation with the people. Guidelines laid down by the president have been ignored by those to whom he entrusted the job. Although the government has achieved much in terms of infrastructure, there has been too little attention paid both to the people and the development of local institutions. Both factors are necessary to involve the population in the development process. International human rights organizations criticize that the government has not implemented a convincing truth and reconciliation process. In March this year, the Human Rights Council decided to launch an international investigation of human rights violations committed during the civil war. What is the government’s position on this resolution? The government is right to criticize the proposed international investigation because it has seen how issues have been prejudged by those pushing for such an investigation, in particular certain Western governments. Sadly, the government has not pursued its own investigations in a transparent and convincing manner. Doing that properly, with advice from countries that have not been unfairly critical, would do much to promote reconciliation. In that regard, those promoting the resolution – first and foremost the United States and the United Kingdom – should have adopted the approach of countries that have more principles with regard to conflict such as India, Japan and South Africa. Colombo considers implementing a truth and reconciliation commission following the example of South Africa’s post-apartheid body. What does the government expect from this initiative? I have no idea as to what government expects because it itself has been very confused about this. It has sent two delegations to South Africa thus far. The first achieved nothing as it failed to provide a report on the way forward with regard for instance to local government. The second delegation didn’t seem serious as Nimal Siripala de Silva, the second most senior member of the ruling party in Parliament and the best person to bring the discussions forward, wasn’t accompanied by any other senior colleagues. Other ministers should have taken part in the delegation, especially those who enjoy the trust of all communities, such as the Minister of Human Resources Development or the Minister of National Languages and Social Integration. This could have led to serious discussions leading to a proposal to the president after the South Africa visit. With the support of such people we could make maximum use of the South African government’s willingness to help. But unless the president puts some solid structures in place, this initiative, too, will be without purpose. Rajiva Wijesinha is a member of the Sri Lankan parliament for the ruling coalition United People’s Freedom Alliance (UPFA) and Advisor to President Mahinda Rajapaksa on reconciliation. He was Secretary to the human rights ministry from 2008 to 2010. The interview was conducted by Ana Lehmann.